Our patients face a tremendous amount of challenges – they’re already uprooted in so many ways. It’s pretty incredible to be able to create a space they can be listened to. 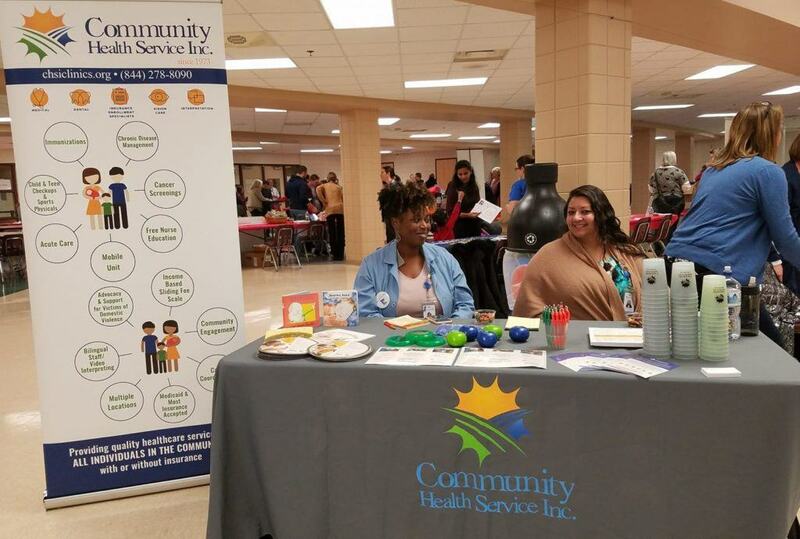 Since 1973, Community Health Service Inc. has been providing primary and holistic health care services to promote health equity in underserved areas of Minnesota and eastern North Dakota. 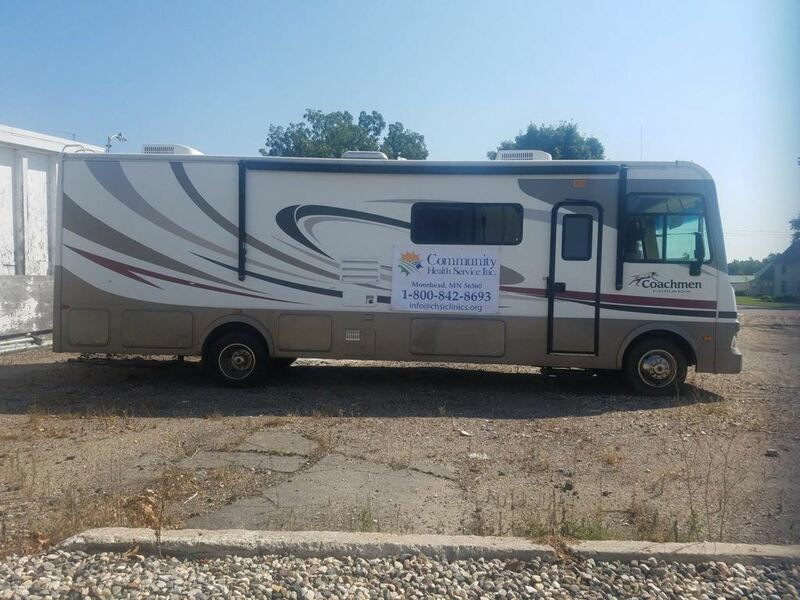 “Sometimes that literally means taking a mobile health care unit to where folks are at,” says Community Health Service’s executive director Kristi Halvarson. It also means serving people regardless of their access to public assistance or insurance, their geography, or their primary language. Community Health Service started with a focus on meeting the health care needs of agricultural workers (63% of its clients are migrant or seasonal workers or their family members), but its doors are open to anyone. 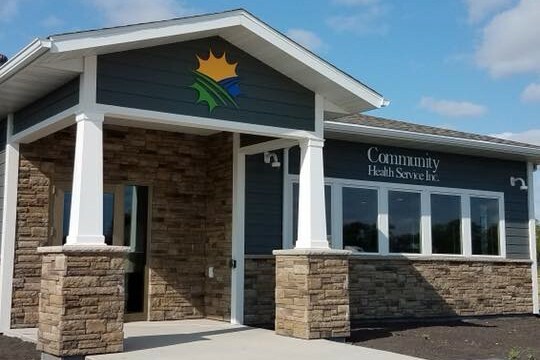 Community Health Service is a Federally Qualified Health Center (FQHC) based in Moorhead, Minnesota, and it also has clinics in Rochester, Willmar, Crookston, and Grafton, North Dakota, along with two mobile units. Its services are offered on a sliding fee scale. In 2018, it served over 3,500 patients across 67 counties. Of those patients, 75% were Hispanic; 68% of Community Health Service employees are bilingual to bridge language barriers. To get at the transportation barrier, Community Health Service has a mobile unit based out of Rochester that goes around to dairy farms, churches, restaurants, apartment buildings, and wherever else services are needed. Its northern mobile unit is based out of Grafton or Willmar, depending on seasonal need – it follows sugar beet harvests or goes to turkey or hog farms, egg hatcheries, and beyond. 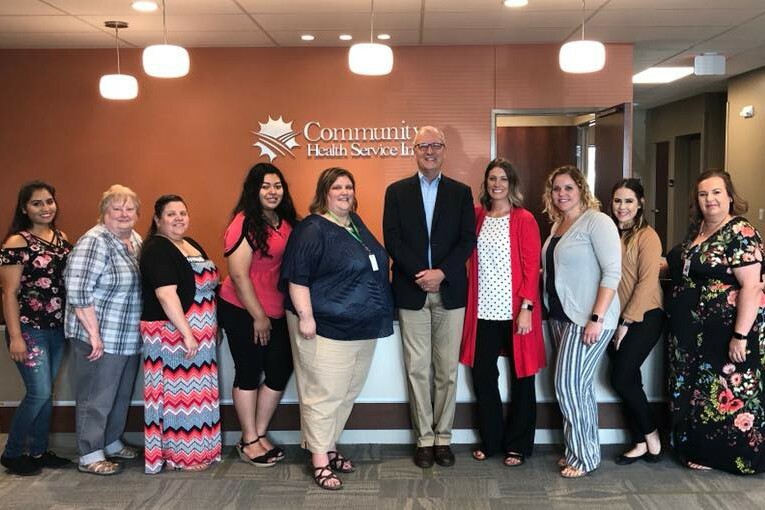 Community Health Service is also expanding services beyond farm workers by partnering with Mayo Clinic on workplace prevention programs and with treatment facilities, HeadStart programs, and others. For Kristi, her work with Community Health Service started as a summer job 14 years ago. She studied biology and Spanish; her first role with the organization was as an interpreter. “I got hooked on Community Health Service’s model,” she says. “How care is delivered here is so different than the doctor visits I always went to.” Kristi knows the same is true for Community Health Service staff, many of who were migrant farm workers themselves before joining the team. “We offer a unique combination of health care services,” says Kristi, who took the helm as executive director in 2012. In additional to primary health care visits, its team has branched into behavioral health over the past few years, provides dental care, and has been developing a more robust victim advocacy program for people who have survived domestic abuse or sexual assault. “Having all those services under the same umbrella is really unique, and that’s what allows us to take care of the whole person,” says Kristi. The team also helps clients navigate the health insurance system and get access to other community services. Community Health Service’s clients face competing demands, which means added stress. “In the face of poverty and job insecurity, things like diabetes and cancer screenings can fall lower on the list,” said Kristi. And because stress is a big social determinant of health, Community Health Service has also been partnering with the Immigrant Law Center of Minnesota, especially with its domestic violence program. “The Immigrant Law Center of Minnesota also has a bilingual lawyer who travels from the Twin Cities to Moorhead about once a month, and a local paralegal we can work with,” says Kristi, which is a huge help for victims of domestic abuse. Still, despite its growing efforts, Kristi knows the clients face some ongoing challenges. “It’s a really dicey time,” she notes. “Our providers have reported seeing a lot more stress and anxiety in the last couple years.” It has seen a marked uptick in clients, serving 18% more clients last year. Kristi worked with Propel Nonprofits to get a loan on Community Health Service’s new facility in Grafton, North Dakota, which is located two hours further north of Fargo. Community Health Service has had a presence there for years, but like its other facilities, it had leased space there, not owned. As a nonprofit leader, Kristi liked the fixed expenses of leasing space, but she knew the organization needed a space that was more accessible and visible to clients. Kristi helped to oversee the new construction of a 5,400-square-foot facility. “It’s located in what literally used to be a corn field,” says Kristi. The clinic opened in August of 2018. However, as can happen with construction projects, the contingency budget was not as big as it needed to be to cover shifting project costs. At that point, Kristi reached out to Propel for a line of credit. For more information, visit Community Health Service Inc.’s website: www.chsiclinics.org.